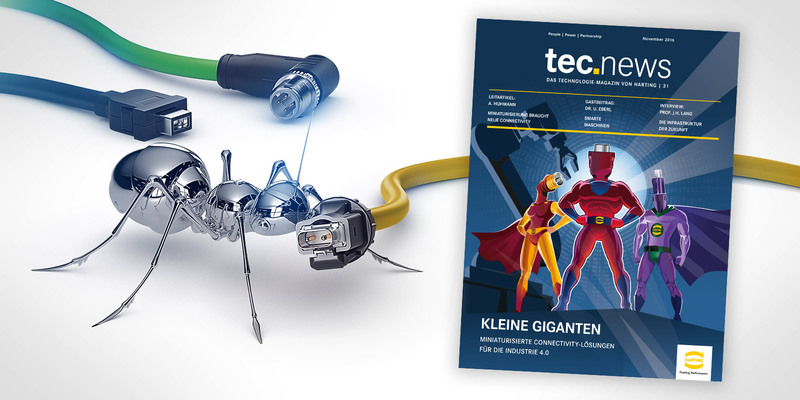 tec.News offers you an overview of technology and innovative highlights from the HARTING Technology Group. It provides its readers with inspiration, orientation, and support for their decisions. 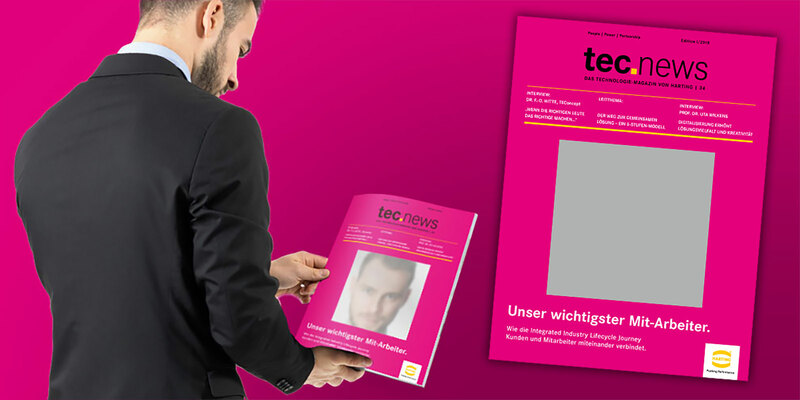 Tec.News presents outstanding HARTING technologies that have resulted in concrete solutions and products in specific applications. It underlines our strategic view – with both a current perspective and a visionary outlook towards the future. Contact us directly and share your thoughts about our solutions, applications or strategic visions with us. 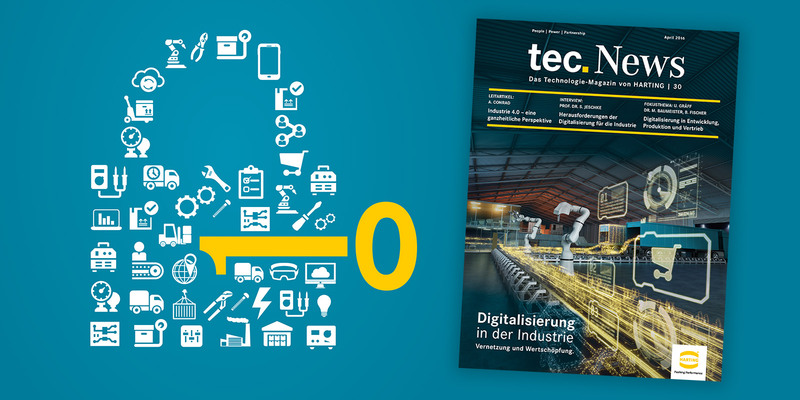 Wie künstliche Intelligenz die Integrated Industry verändern wird. Ob medienwirksamer Sieg des Schachcomputers Deep Blue gegen den ehemaligen Weltmeister Gary Kasparov oder die alltägliche Verwendung von Navigationssystemen und Sprachassistenten: Künstliche Intelligenz (KI) begegnet uns heute überall. Sie gilt als die maßgebliche Antriebskraft der Digitalen Revolution. 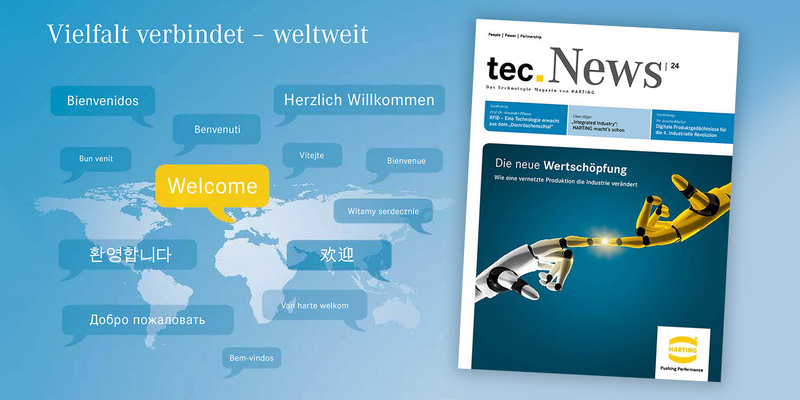 tec.news 36 - Genial normal? 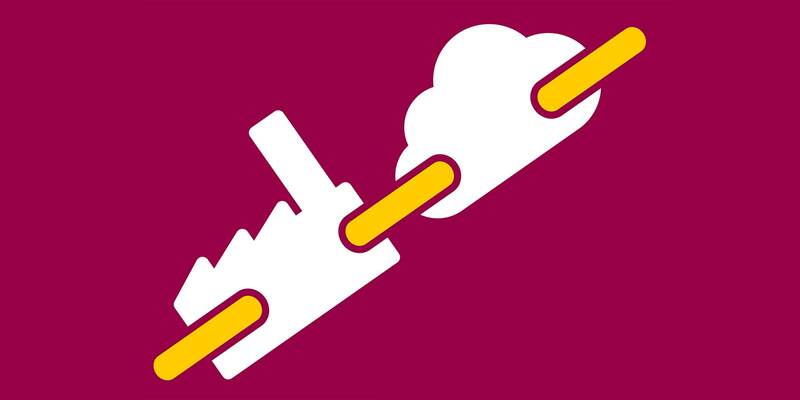 … with connectivity solutions between Edge and Cloud. 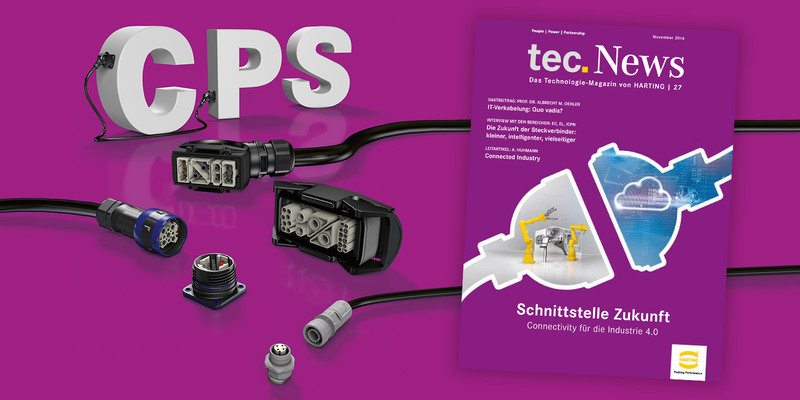 The influence of flexible and convertible production characterises our connectors as well: here, the MICA® can be seen as an Edge Device that brings OT (Operational Technology) to the internet and into the Cloud on the basis of IT software concepts. 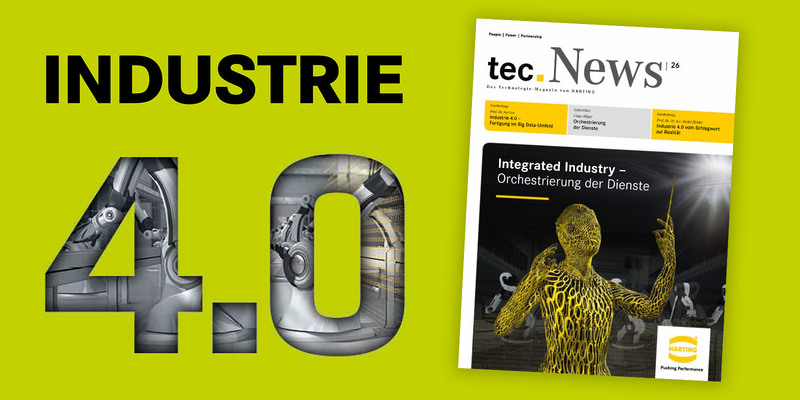 Read about Edge Devices as an I4.0 key or about the digital integration of machinery as we’ve implemented it in practice within the HARTING Technology Group. Rail vehicles move people, goods and products – quickly and safely, and over long distances. Rail transport has a future. Rail networks are being expanded all over the world, and investments are being committed in terms of equipment, comfort and safety, as well as in more and more entertainment and information offerings for trains. The reason? Customers are demanding more and more. Specific benefits arise only through applications – and these are tailor-made in each and every train. 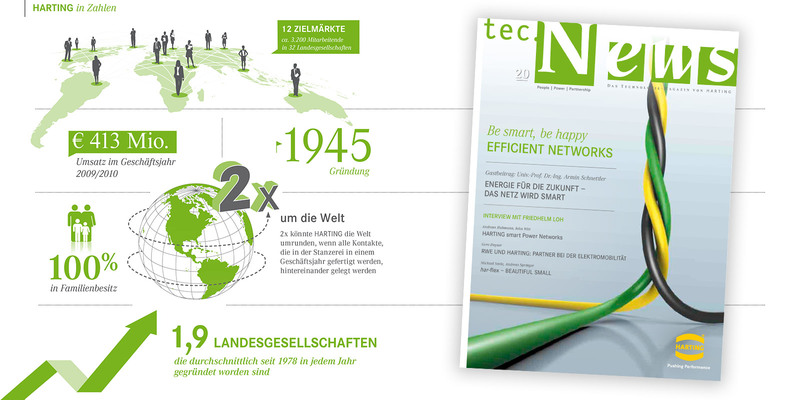 In addition to the classic connectivity solutions, smart solutions are becoming increasingly important. 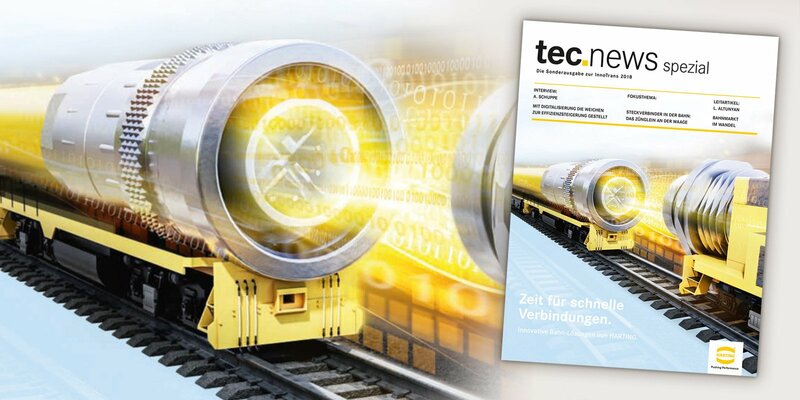 This special edition of tec.news for the railway sector endeavors to provide impulses for innovative connectivity in applications, thereby generating ideas for solutions that we’re looking to create together with you. 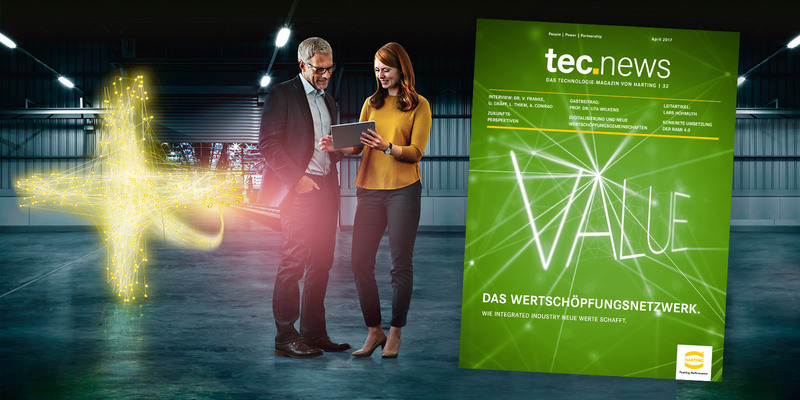 In the age of Industrie 4.0, what are the technologies that can be deployed to undertake an innovative Customer Journey? Via digitisation tools, the customer literally becomes a "co-creator" on the way to his or her own solution. 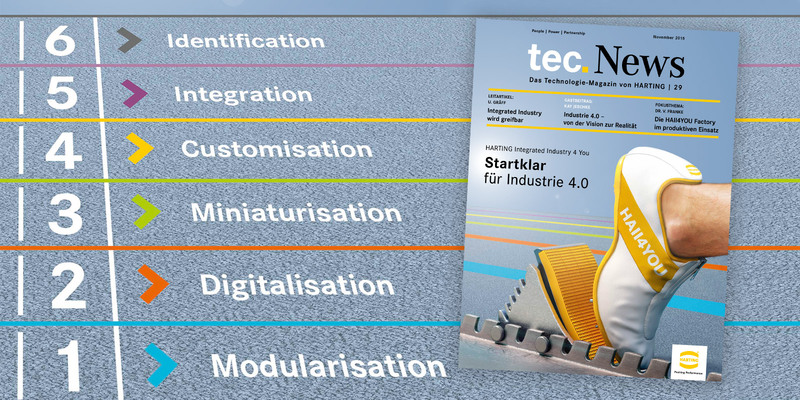 We investigate the question surrounding the realisation of tailor-made interfaces in a 5-step model and use this model to show the services HARTING offers its customers in the context of digitisation. 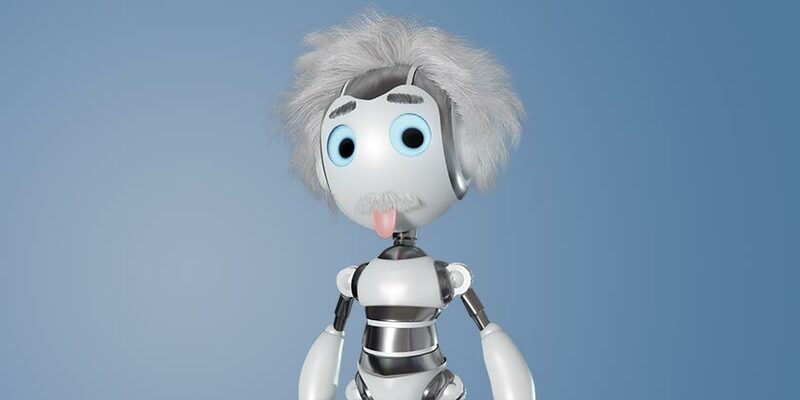 The fourth industrial revolution can already be summed up as follows today: complex value-added networks are no longer viable with monolithic architectures. An all-encompassing solution is needed. But no one can do everything on their own. And, in my opinion, this recognition of one's own limits harbours a great opportunity, founded upon the cultural change of Industrie 4.0.. If you ask companies what their goal is, the answer is first and foremost: creating value for customers – naturally, while being as profitable as possible for the company. In many cases, however, this is merely given lip service, as the opposite is usually more correct: being profitable and thereby creating value for customers. In any case, this statement is actually not so bad. The mere digitalisation of data did not represent the quantum leap in telecommunications technology. It was only the introduction of mobile communications technology which brought about the universal availability of first the phone and then the internet. The industrial sector initially believed it would need to tread an identical path with regard to digitisation. Wireless automation has been heralded for years. Yet it doesn’t exist, and hard-wiring continues to be relied on – as evidenced by our sales figures. Digitalisation is now affecting each and every one of us, changing and transforming all areas of society. On the one hand, these changes are affecting our private lives – in the shape of the smart home, for example, while this shift is also impacting on the industrial area with the emergence of smart factories. Here at HARTING, we see industry as an integral part of society, and also subject to the process of transformation. And it is precisely this change to industry that has been referred to as the 4th Industrial Revolution. The advent of IT has given the automation of manufacturing an enormous performance boost. Without this “ITisation”, efficient production of quality complex products would be very difficult to achieve. 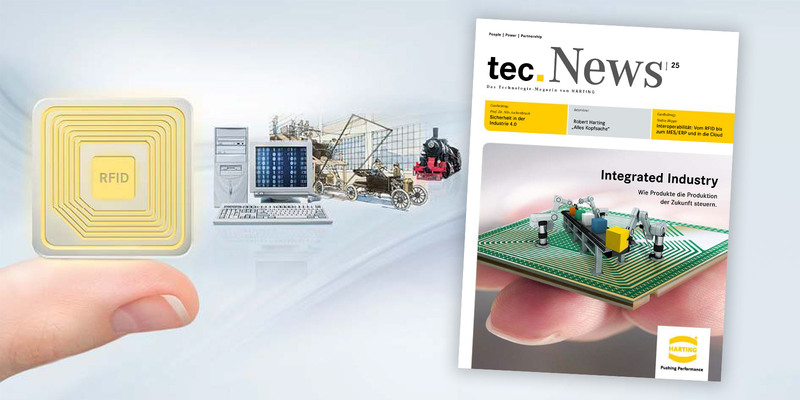 HARTING is now analysing trends and identifying their relevance to current projects and applications. The convenient and user friendly entrance to the cyber world - an important step for industrial devices that will determine the manufacturing and automation of the future. 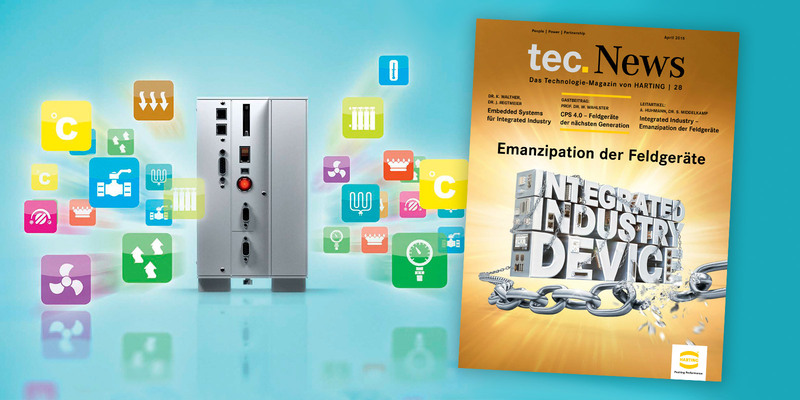 Thanks to the integration of IT functions into conventional industrial devices, the standard automation technology to date will emancipate itself, and pave the way to digital networking and tighter integration. 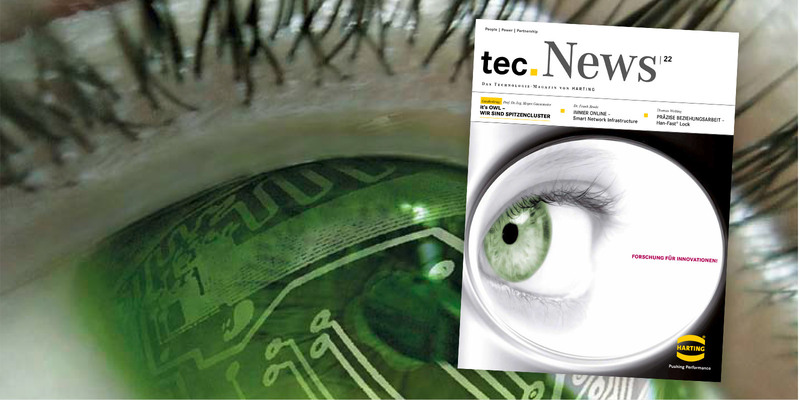 In industry, the real world and virtual world are bridged with the help of Cyber-Physical Systems. Real production processes are simulated and controlled by computer-generated representations. 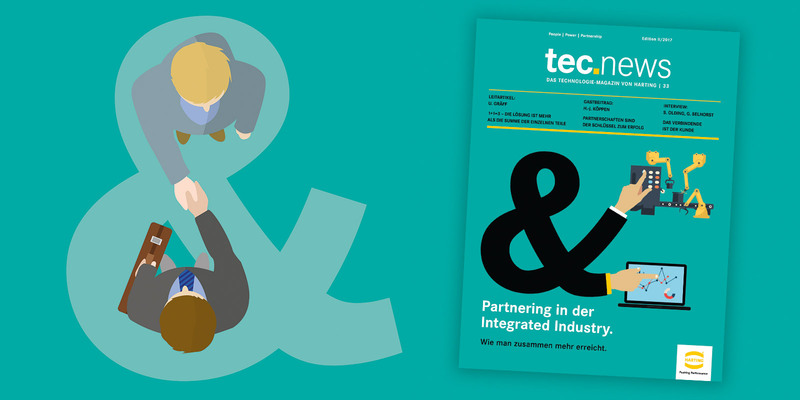 Industry 4.0 is going one step further – towards the genuine integration of both worlds. Integrated Industry is taking off and mastering the next steps, as evidenced by the theme of the Hannover Messe trade fair. But the fact that Integrated Industry, or Industry 4.0, is on everyone’s lips still doesn’t make the vision any more real for end users. They need to see solutions, something that demonstrates tangible benefit. The fourth industrial revolution has commenced with the advent of products that control their own production. RFID technology has turned automation on its head, moving production from a centralized system to the products themselves. This leap calls for new ideas and out-of-the-ordinary concepts – as well as companies like HARTING that combine expertise and courage. Integrated Industry: It’s not just a slogan, but rather a sustainable strategy for industrial enterprises. Production can be structured more flexibly and faster, hile companies are able to act in an environmentally compatible and resource-efficient manner and thereby meet customer requirements in an optimal way. Accordingly, only so much wood may be cut in a forest as can be regrown and replenished. Since wood was used in the early 18th century in building, as the most important source of energy and in many pre-industrial production processes, forests were cut down and whole landscapes laid waste. Von Carlowitz therefore called for forestry management to allow the forests the time to regenerate and rejuvenate. 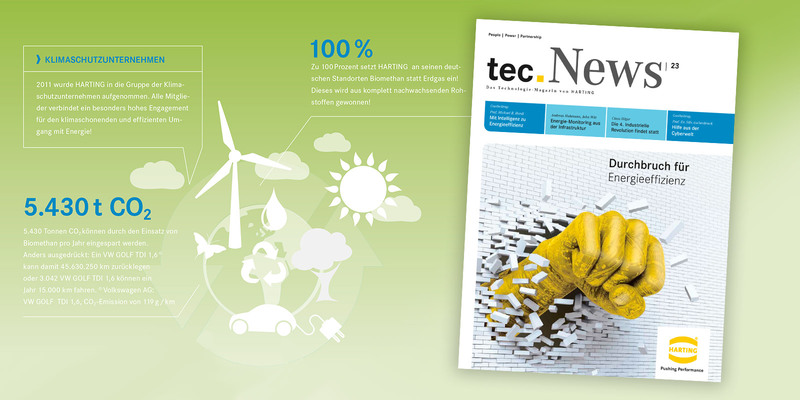 tec.News - Research for Innovations! Globalization is not just a catchword, but presents us with demands and requirements, day in, day out. Companies and organizations that want to maintain their positions and generate positive impulses for the further development of society will have to be committed to sustainability. At HARTING, this is the foundation of our Vision. HARTING has a clear focus on the essentials: we view the world through the eyes of our customers. Three lifelines, three arteries determine this world: data, power and signals. 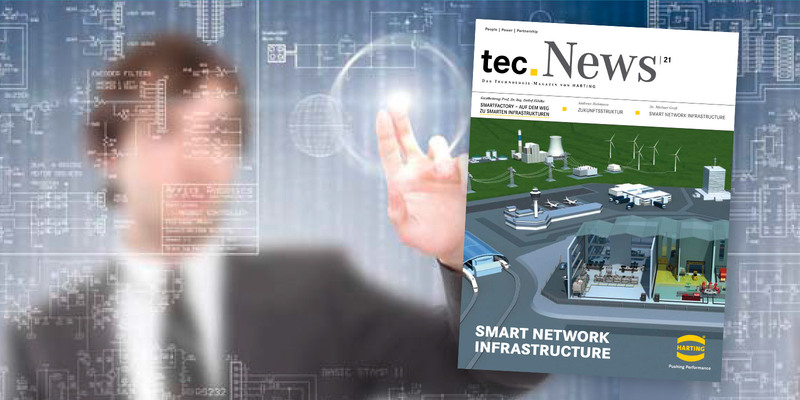 Linking these lifelines optimally with device connectivity, installation technology in the field and intelligent network in heavy duty environment – this is how we define our contribution to infrastructure and in particular, to Smart Network Infrastructure. Is Communication the Essential “smart” Factor? We are currently experiencing a surge in innovation associated with the concept of “smart grids”. As there is nothing new about a grid, it would appear that the innovations are inherent to the attribute “smart”. We, as connectivity and network specialists, have been asking ourselves what really makes networks smart.